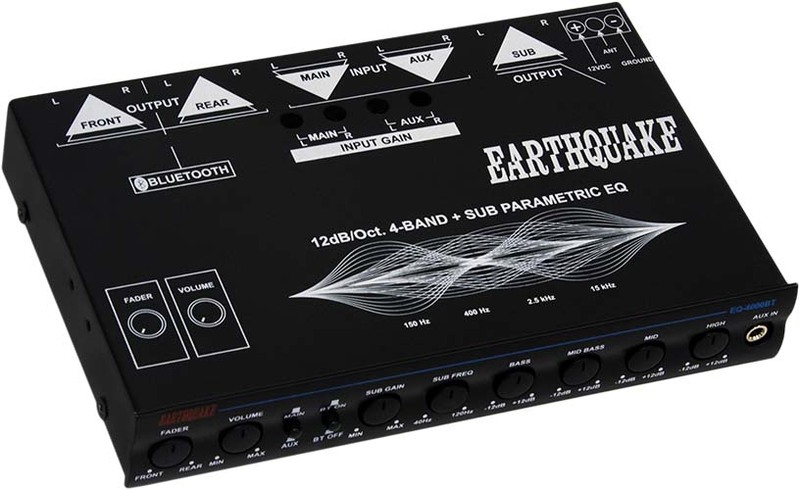 EQ 4000 BT - Earthquake Sound Corp.
Earthquake's 4-band equalizer now has Bluetooth® capability, making it easier to start enjoying your favorite playlists from your Bluetooth® enabled devices (i.e. iPhone®, iPad®, iPod Touch®, Android®, etc.) to the vehicle's audio system. With the EQ-4000BT, you can keep your device with you at all times, reducing the risk of forgetting the device in your vehicle.